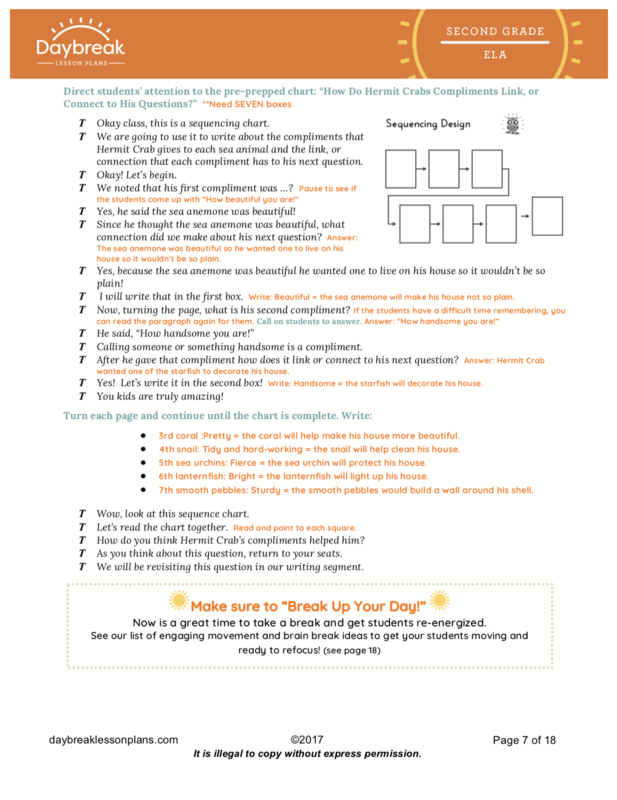 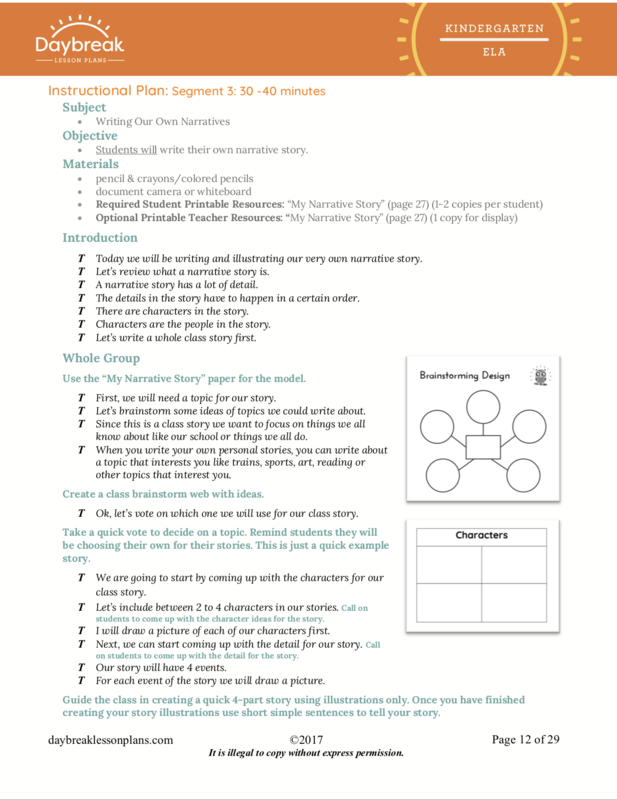 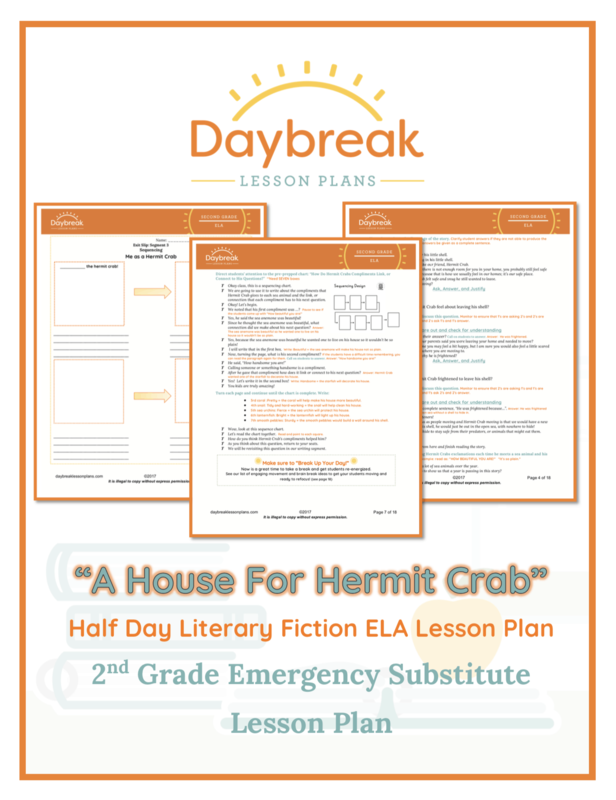 Description: Second Grade half day of ELA lesson plans containing 3 separate segments (30-60 minutes each) addressing reading and writing comprehension standards. 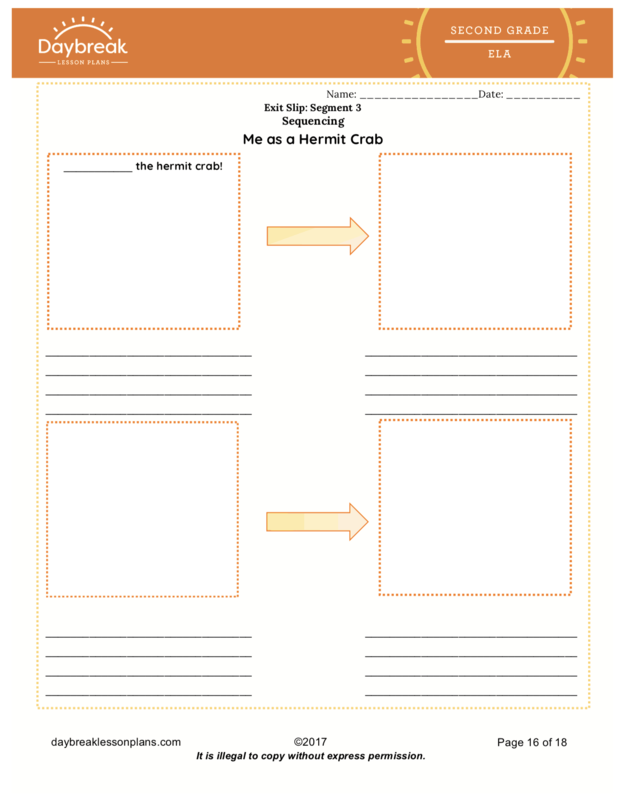 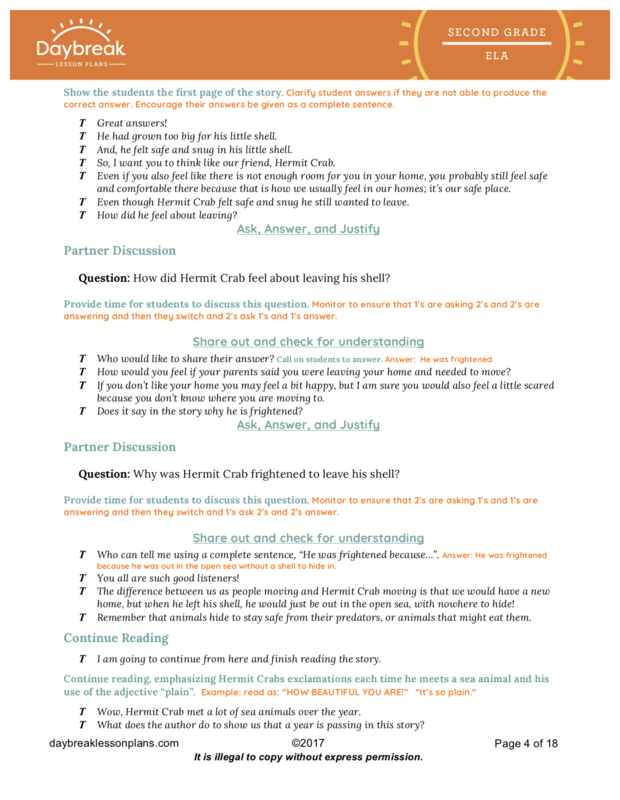 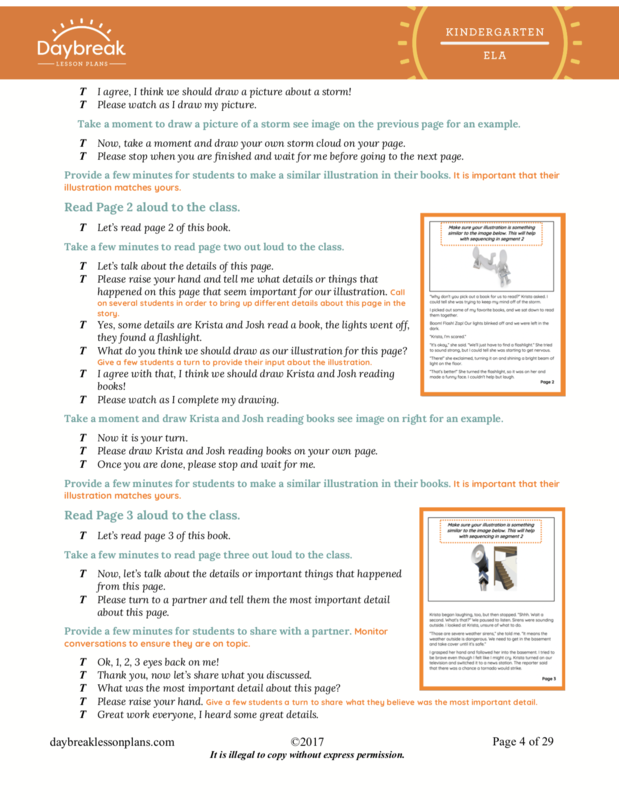 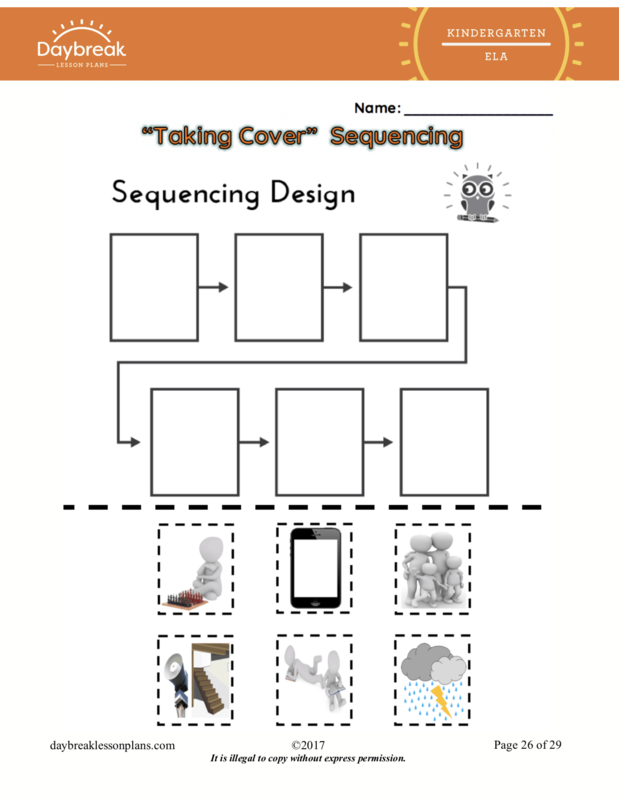 These lessons include a read aloud of A House for Hermit Crab, by Eric Carle, practicing key ideas & details, retelling, understanding a character’s point of view, and sequencing activity with a built-in art component. 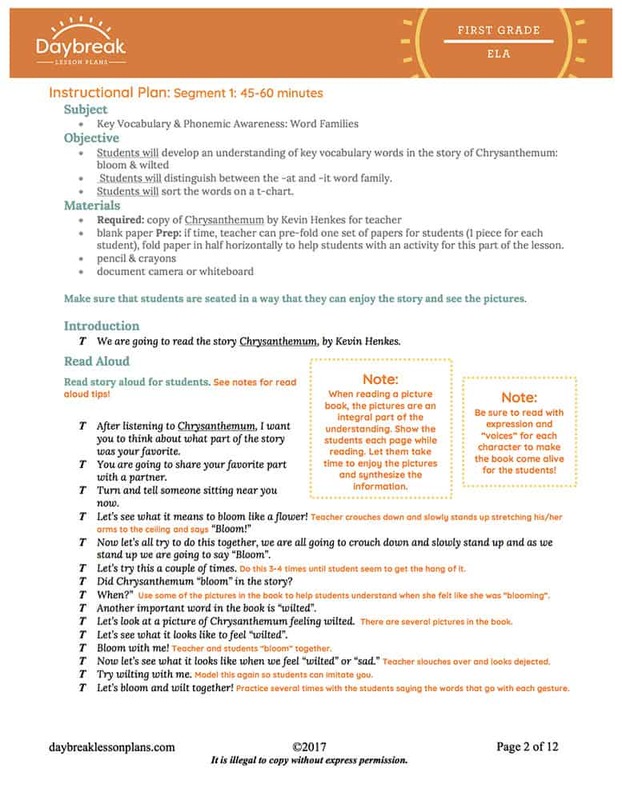 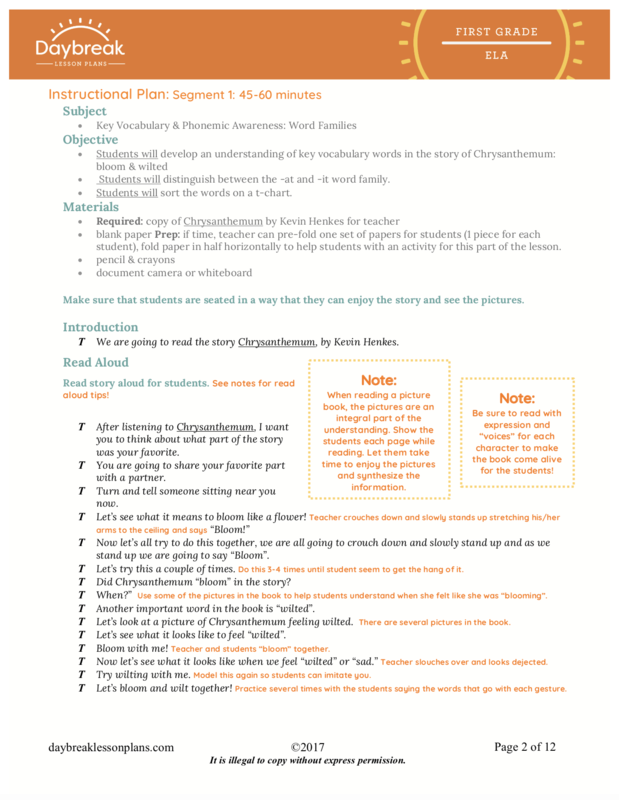 Description: First Grade half day of ELA lesson plans containing 3 independent lessons based around the picture book Chrysanthemum, by Kevin Henkes. 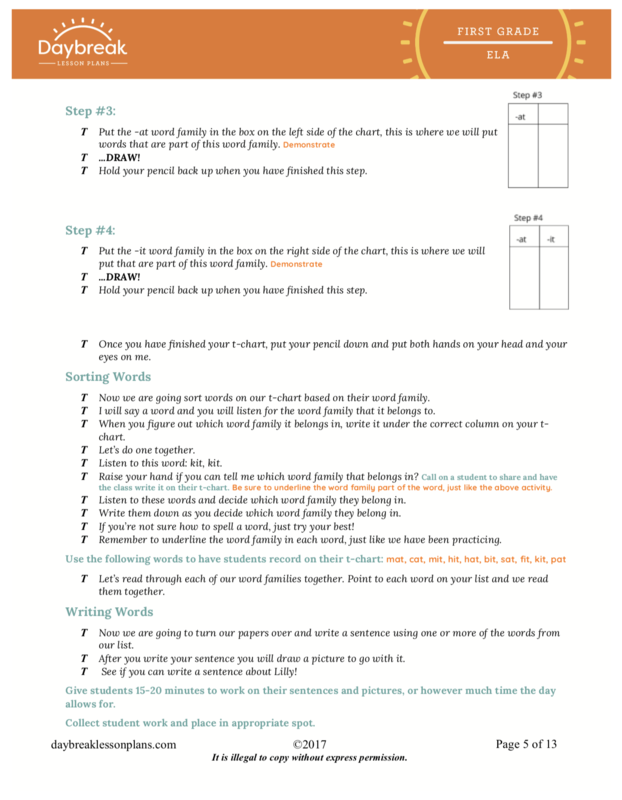 These lessons include: a read aloud, word family (-at & -it) activity, a character study, and a guided art lesson. 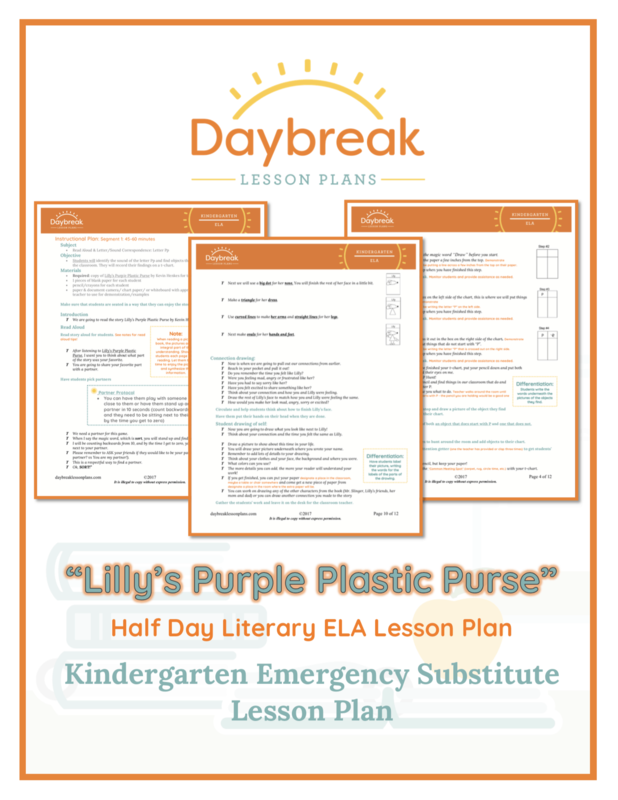 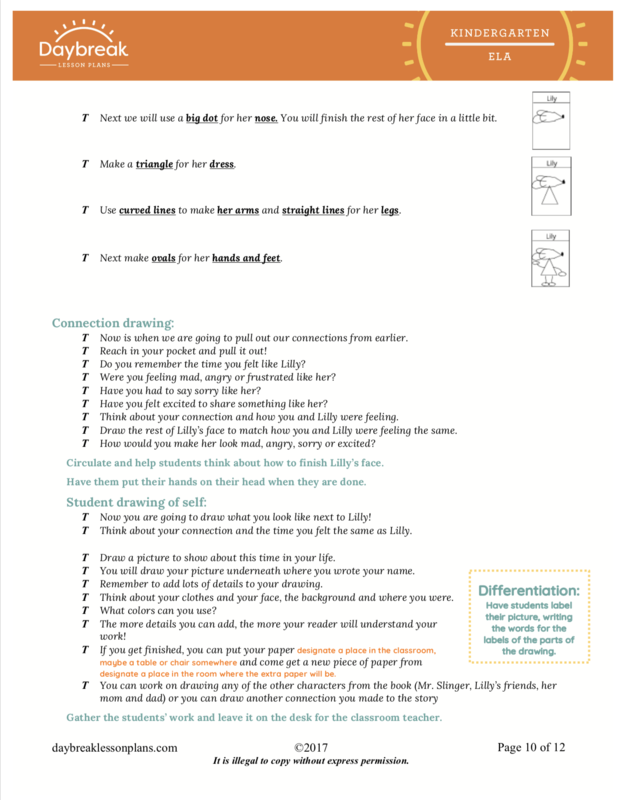 Description: First Grade half day of ELA lesson plans containing 3 independent lessons based around the picture book Lilly’s Purple Plastic Purse, by Kevin Henkes. 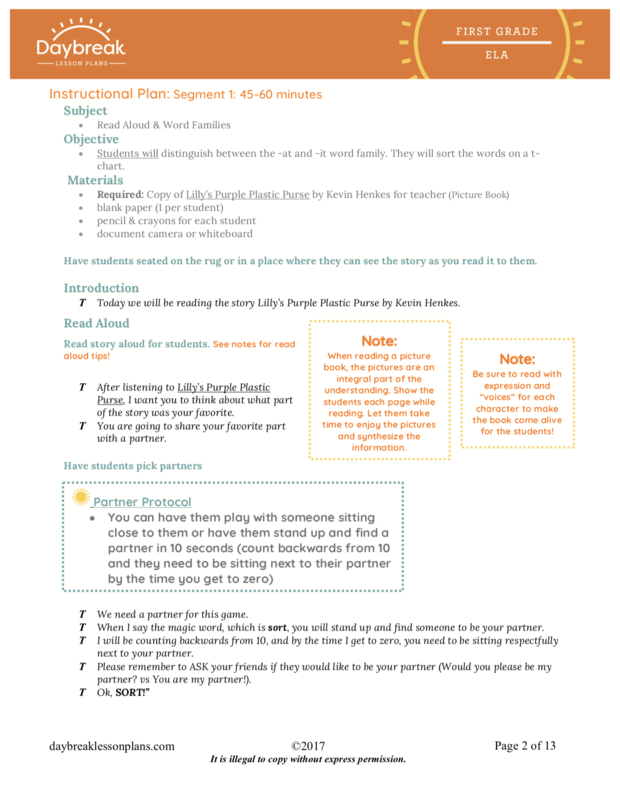 These lessons include: a read aloud, word family (-at & -it) activity, a character study, and a guided art lesson. 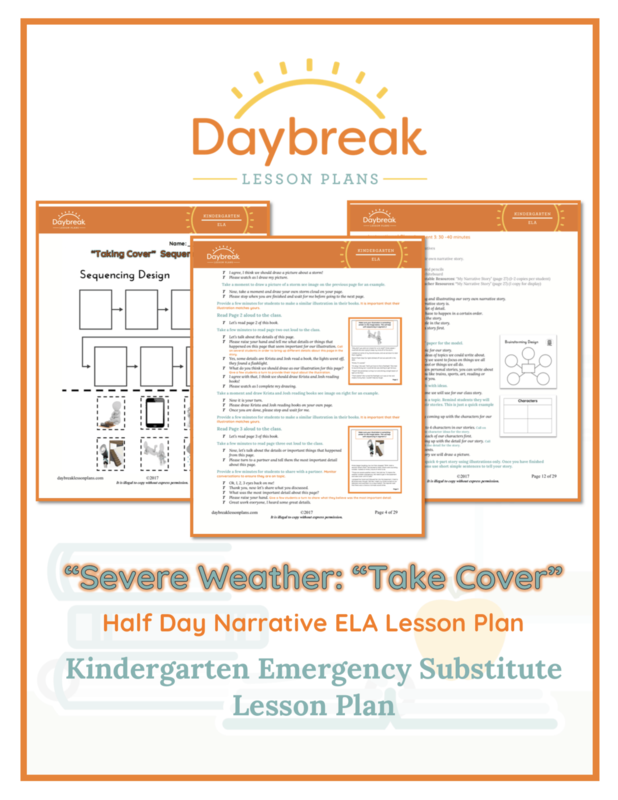 Description: Kindergarten half day of ELA lesson plans containing 3 separate segments (25-60 minutes each) addressing reading and writing comprehension standards. 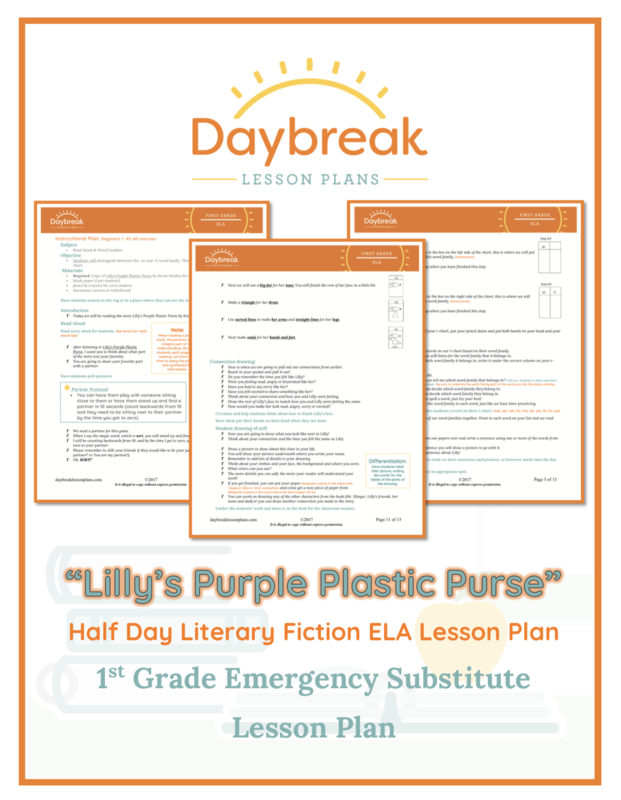 These lessons include a read aloud of Lilly’s Purple Plastic Purse, by Kevin Henkes, practicing letter/sound correspondence (Letter Pp), a character study, and a guided art lesson. Description: This whole day bundle contains: First Grade half day of ELA lesson plans containing 3 independent lessons based around the picture book Chrysanthemum, by Kevin Henkes. 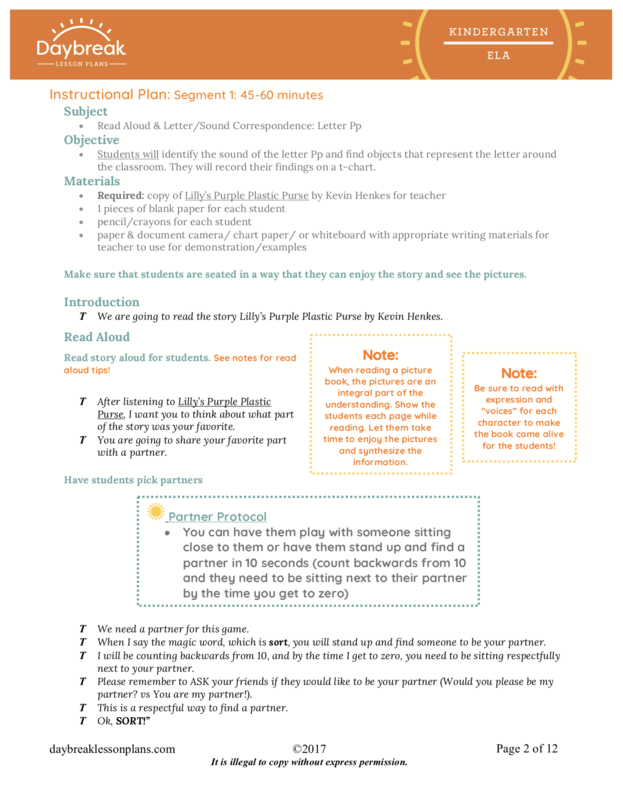 These lessons include: a read aloud, word family (-at & -it) activity, a character study, and a guided art lesson. 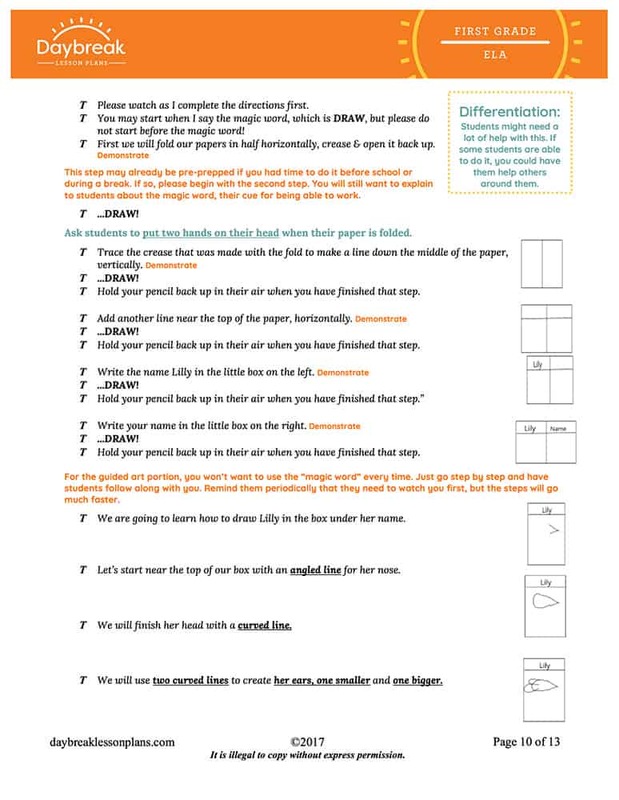 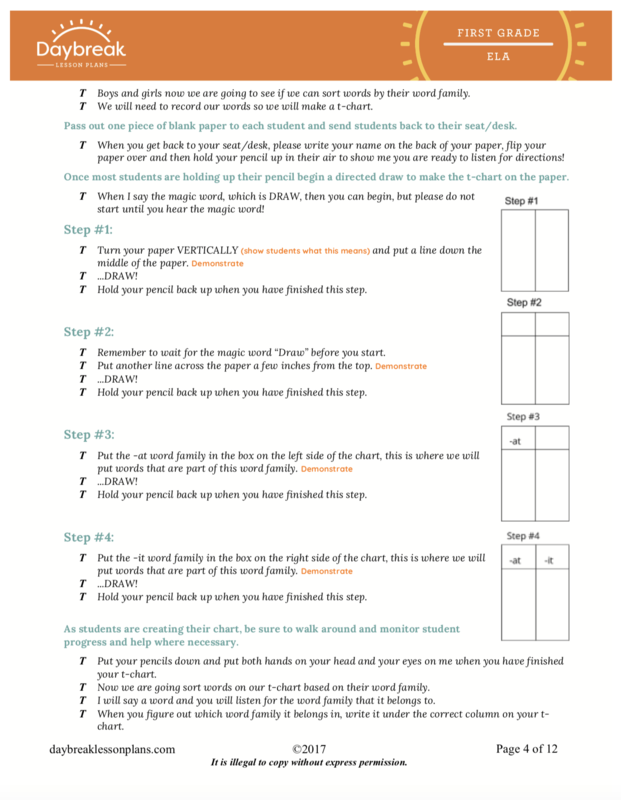 First Grade half day of math lesson plans containing 4 separate segments (30-60 minutes each) addressing Measurement & Data, Numbers in Base Ten, and Operations and Algebra (1.MD.C.4, 1.NBT.3, 1.OA.A.1). 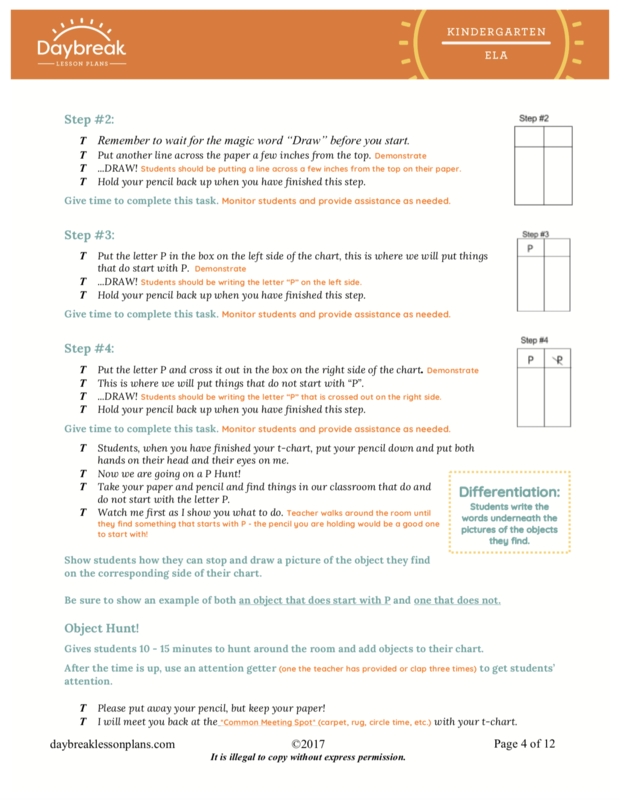 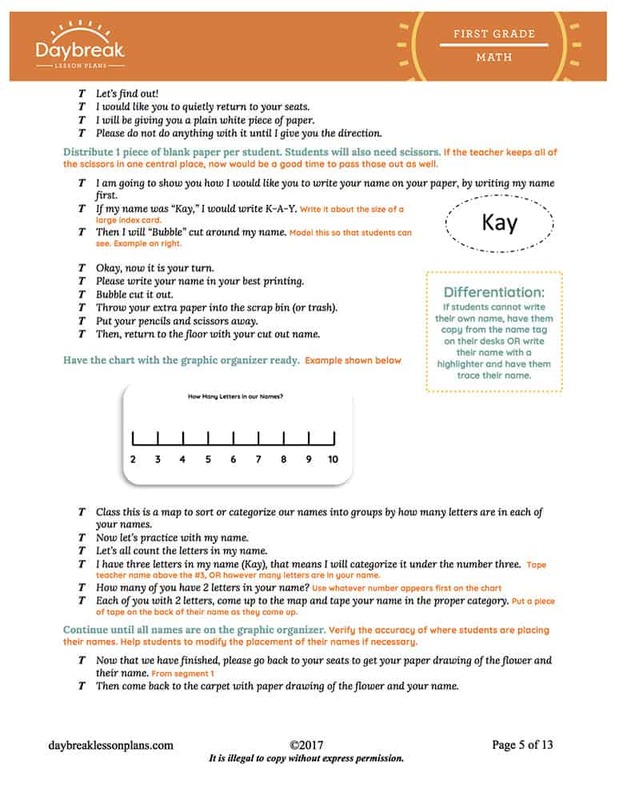 These lessons include: categorizing based on number values, comparing numbers using <, >, =, adding and subtracting using mental math, and solving addition word problems.